DOT approved alcohol screening device. 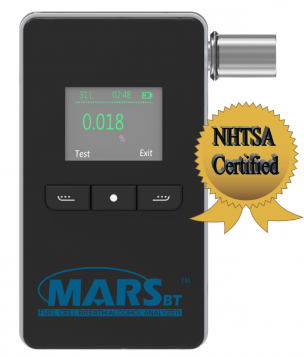 The Alcovisor MARS Alcohol Screening Device (ASD), is approved by the National Highway Traffic Safety Administration (NHTSA) for DOT or non-DOT alcohol screening testing. 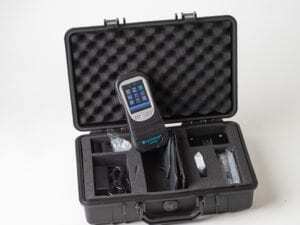 The MARS is an affordable hand-held ASD that offers both ease of use and unsurpassed reliability and accuracy. Just attach the mouthpiece, turn the unit on, take a deep breath and BLOW. It’s that easy! 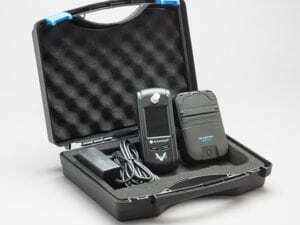 The Alcovisor MARS is accurate and reliable, allowing a complete breath alcohol screening test procedure to be conducted in about 30 seconds.